It’s no secret that Megan and I are huge proponents of the resurgence of the Rust Belt region. We––like many others––think that the recent history of Rust Belt cities (like Buffalo, Cincinnati, and Detroit) combined with the broader economic climate will lead to continued investment in the region. This is great news: for the first time in a century, this region of the United States has become a viable option for young adults to live, find meaningful work, and even play. When we learned that one of our favorite singer-songwriters, Sufjan Stevens, was going to perform selections from his incredible Planetarium concept set (with Nico Muhly and Bryce Dressner) in Cincinnati, we decided to make the drive and see the concert and this upcoming Rust Belt city. 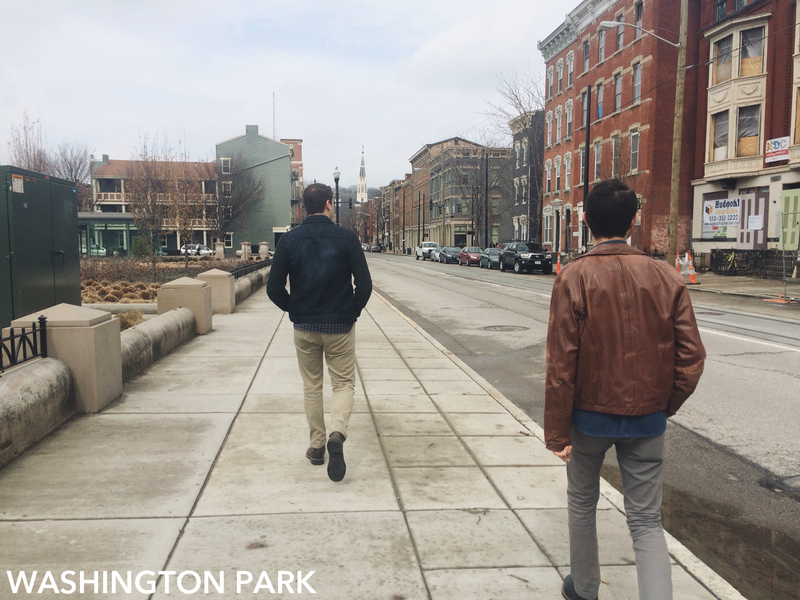 With only a few days to explore, we spent the majority of our weekend focusing on a few neighborhoods: Over-the-Rhine, Northside, Corryville, and Mount Adams. We didn’t spend much time downtown––these were peripheral neighborhoods: the Hertel Avenue and Parkside of Cincinnati. What we found was a city with exploding pockets of top tier development only blocks away from levels of systematic poverty and blight seen not even in Buffalo. This “two Cincinnatis” mentality proved inescapable to us, but ultimately it was impossible to ignore the potential we saw. 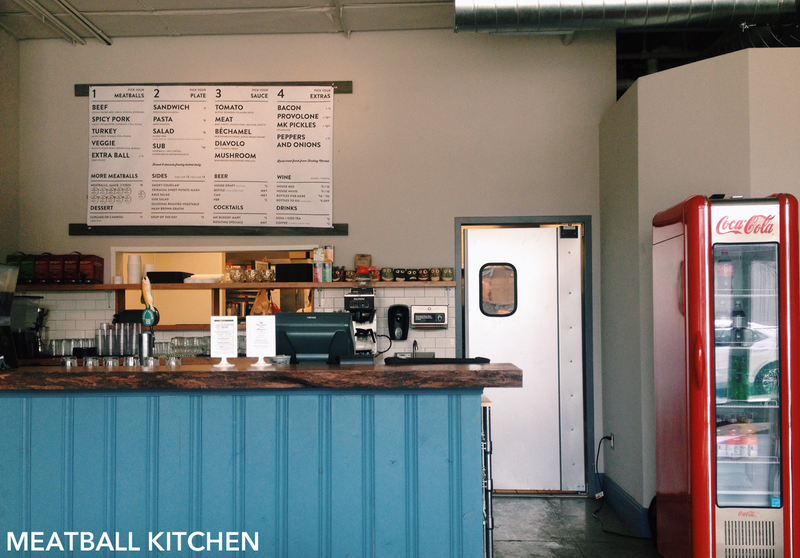 What follows in this post is a overview of the sights and places we visited and ate at: a look into what Cincinnati is doing right, what could be improved, and what the “movers and shakers” in Buffalo could learn from and improve upon. We arrived in Cincinnati on a Friday night after an unexpectedly long day of driving thanks to rain and traffic. After settling into our Airbnb (more on that later! ), we sought out a restaurant that was close and comforting. A quick drive down Vine St. led us into the resurgent Over-the-Rhine neighborhood, and we immediately grabbed a table at The Eagle. A self-proclaimed “food and beer hall,” the Eagle offers a limited menu and an extensive tap list––exactly what we were looking for. We ordered a round of local beers from Rhinegeist Brewery (see below), sandwiches, fried chicken, and pickles. The dark meat fried chicken ($6-$18) was extraordinary: crunchy melt-in-your-mouth drumsticks and thigh meat served with a spicy hot honey sauce. It was messy and unpretentious––equally delicious at 8pm and 3am. The white meat variant was served on the fried chicken sandwich ($9), which was presented on a submarine roll with slaw, spicy mayo, and pickles (which were close to perfection, and also served as a side for $2). Even the vegetarian options were impressive. Megan ordered the grilled cheese ($6) with apricot preserves and apples and loved it. For roughly $15 per person, each of us were filled with comfort food and beer in an atmosphere that was surprisingly unpretentious given the number of hip young ‘professionals’ inside. Local brews are nothing new in the US, but we were still excited to see what was being done with craft beer elsewhere in the Midwest. 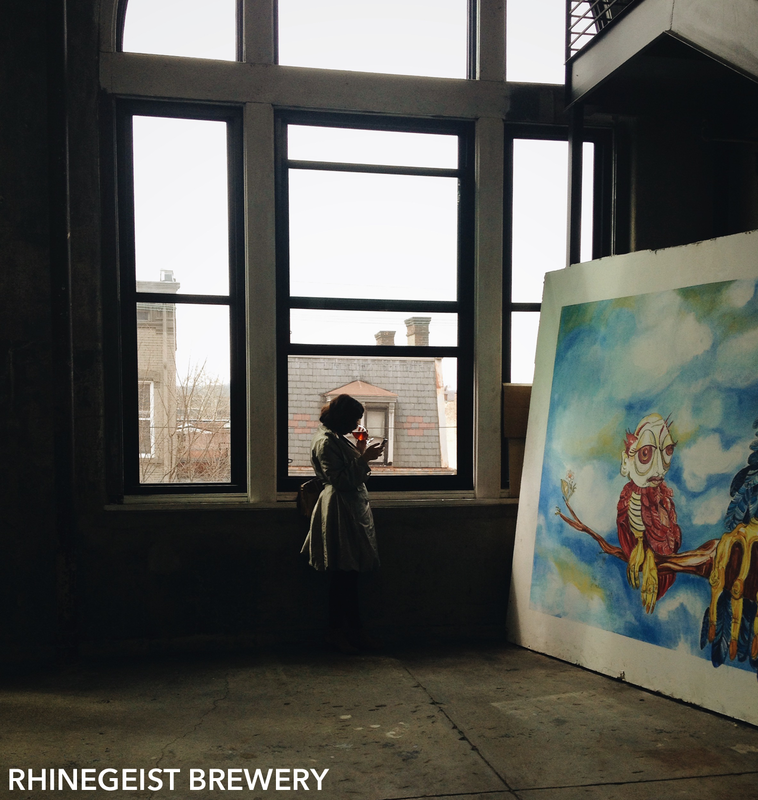 We broke up our day on Saturday with a stop inside Rhinegeist Brewery, located just northwest of Over-the-Rhine. 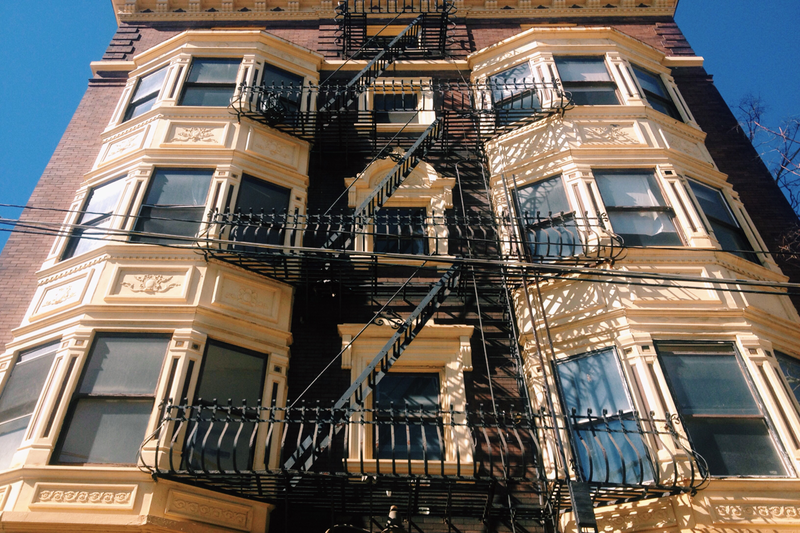 It’s a little off the beaten path: a few blocks north of Findlay Market and, once inside, a handful of flights upstairs with little direction other than the noise echoing from above. When you round the corner into the brewery though, you realize how massive Rhinegeist is––similar in set-up to Resurgence Brewing Company in Buffalo but so much more vast. There are two bars to order from, over 20 large wooden tables, the brew deck itself, and an entire area devoted to games for both adults and children. The views out of the ex-warehouse building are incredible too; you could easily spend a half hour sipping on a beer and viewing the neighborhood from above. And about the most important part: the beer? We loved it. We tried the White IPA, the regular IPA, and the Barleywine (all $6 per pint; flights are also available) and were left with a solid first impression of Cincinnati beer. In comparison to what’s offered at Resurgence in Buffalo, the brews were fuller, more complex, and ultimately more polished. 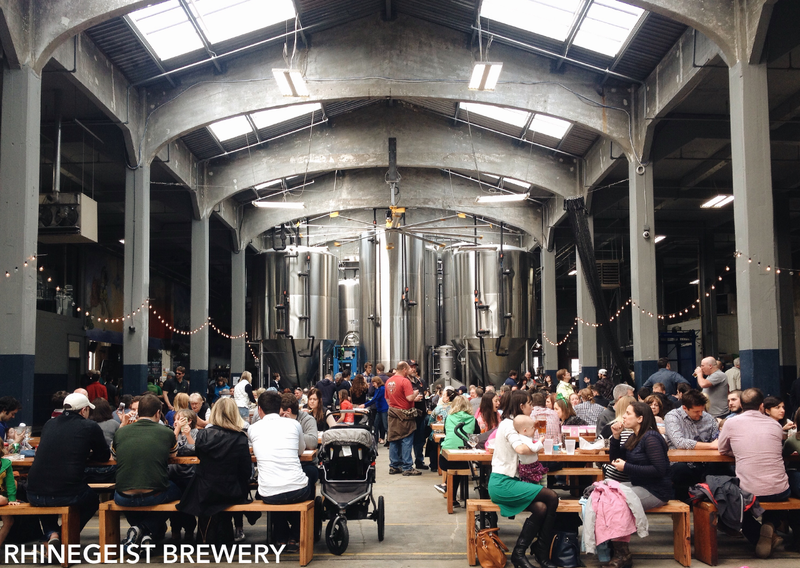 Our only minor complaint was that the brewery certainly offers a family (read: loud and strollers) atmosphere which is either great or not-so-great depending on who you are and what you’re there for. We visited a handful of other shops and restaurants that day––some leaving a more lasting impression than others. Saturday morning ended up being overcast and rainy, so we stopped into Pho Lang Thang while exploring Findlay Market. 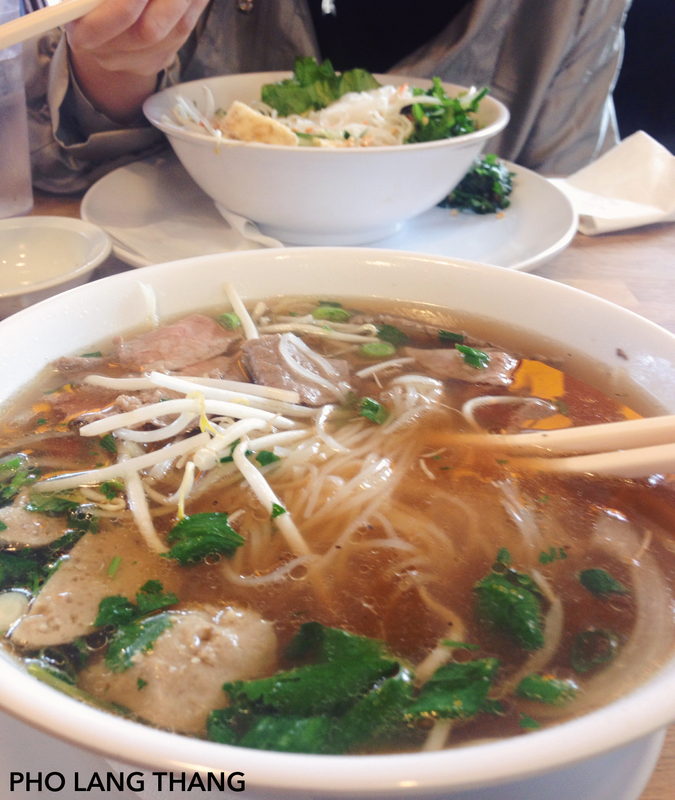 There, we enjoyed too-large-to-finish bowls of pho and noodle salads. The Phở Bò with Tái, Nạm, Bò Viên (rare steak, brisket, and Vietnamese meatballs) was a standout at $8 for a medium (huge) bowl. Each meat was on point: the meatballs light and almost spongey, the steak succulent and tender, the brisket gamey and meaty. The broth too was enormously complex, and the plate of accompaniments––teeming with cilantro, lime, jalapeño––was freshly prepared. While we couldn’t really take part in too much at Findlay Market––many stalls sell fresh meat, vegetables, and other ingredients for use at home––we were enamored with two speciality shops there. Maverick chocolate is Cincinnati’s only bean-to-bar chocolate bar producer, and ultimately an exercise in doing one thing perfectly. They offer a highly curated selection of chocolate bars (half pure single-source chocolate, half flavored). Based on the samples we had, all of them were worthy of the $8 price. I purchased the 70% bar made with beans from Belize; upon opening it, the color of the chocolate alone was indicative of its quality. I have a very small sweet tooth and rarely crave chocolate, but when I do this is the only type of chocolate I would want to eat. Churchill’s Fine Teas on the other side of the market was equally impressive in its dedication to doing one thing well. The store is teeming with walls of teas and accessories, and the ordering process couldn’t be simpler: you write how many ounces of what tea you’d like on an order form, bring it to the counter to be filled, and check out. We ordered the Lavender Earl Grey, the Cincinnati Spice Rooibos, and the Chamomile. In terms of quality, they match what was previously my favorite tea purveyor: Postcard Teas in London (UK). I’ve had at least a cup per day since purchasing, and wish I would have bought more. Toward the end of the day we drove over to Northside, which provided us with both the high point and low point of our day. 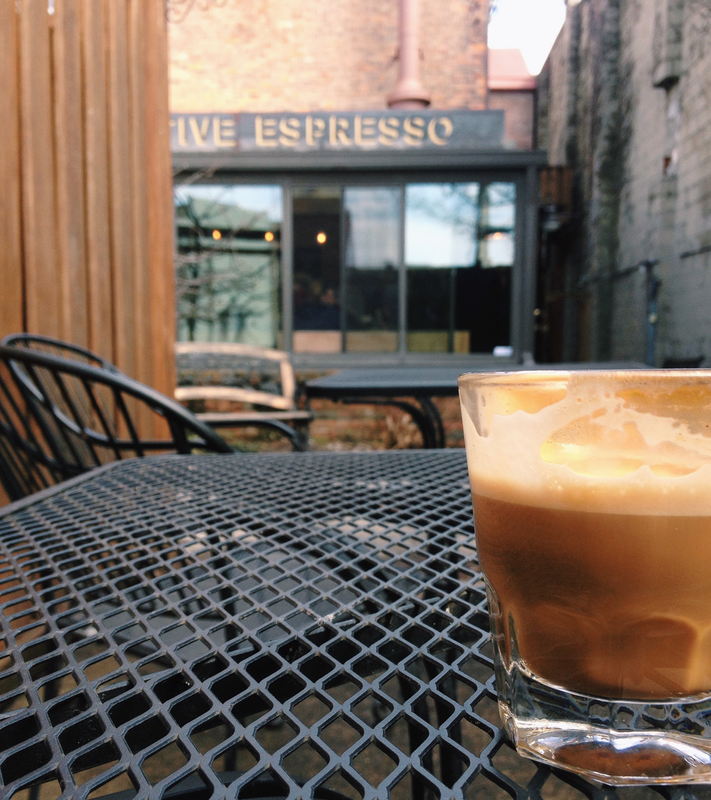 After exploring the neighborhood’s record and antique stores, we unexpectedly found ourselves at Collective Espresso. Collective Espresso is one of the best coffeeshops––and I use that term purposefully, instead of cafe––I’ve been to in my life. You enter through a narrow gated alleyway and eventually stumble upon an incredibly small glass-walled and glass-roofed building. Inside that building are a few tables, a bench, and a small coffee bar. The menu is limited, the beans are single-sourced to different roasters around the United States, and the milk is glass-bottled and local. Our cortado and latté ($3) were among the best we’ve had. And this wasn’t a place to grab a sandwich and sit at your laptop for hours; it was set-up as a reprieve from the busy street outside and as a place to appreciate quality and conversation. On the other hand, we really didn’t see the appeal of Tacocracy. Maybe we’ve been spoiled by Lloyd’s, but nothing irritates us more than waiting too long for expensive and subpar food. Tacocracy is set up as a dive bar with a taco bar in the front and a real bar and patio in the back. Its vibe could be described as grunge-y, but in-progress and dirty might be a more apt description. The food was nothing special either. 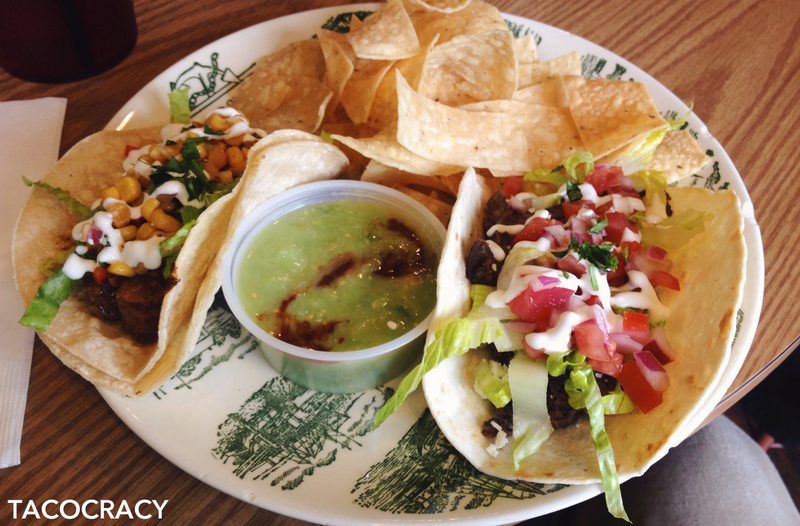 At $4-5 per taco, you’d expect excellence, but what we received was above-average if that. Aside from the meats, none of the ingredients were given much thought. And the timing was miserable: even though the three of us ordered at the same time, our tacos came out at completely different times. I received mine; 10 minutes later Megan received hers; 5 minutes later we needed to ask where our third order was. The order had somehow been lost (seemingly impossible given that there were under 10 people in the building) and then came out within 5 minutes. A few other quick notes: We loved stopping in to Brezel throughout the weekend. The Bavarian pretzel shop located in Over-the-Rhine does exactly one thing––making pretzels––tremendously well. We loved them. 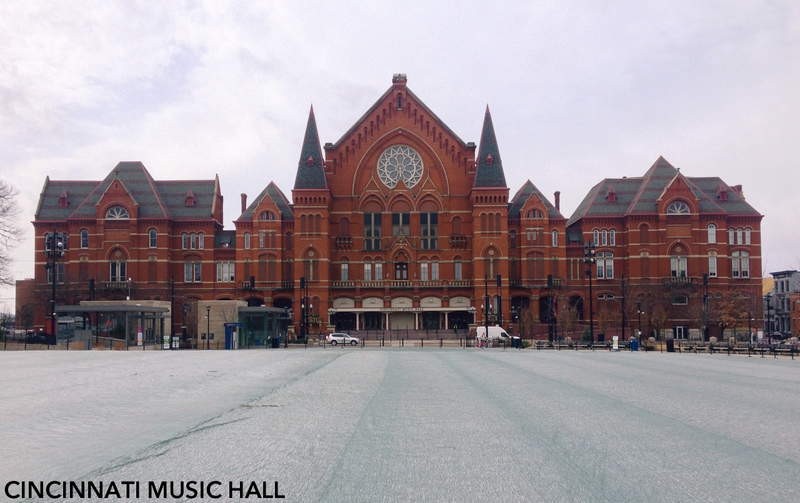 And the Cincinnati Music Hall was stunning outside and in, and the pieces we heard performed at the Music NOW Festival were groundbreaking. Sufjan was, of course, the highlight of the show and it was an honor to even be in the same building as him. After the concert, we had equally great experiences at Graeter’s ice cream and 1215 Wine and Coffee Bar, with its sophisticated vibe that we’d kill to have somewhere in downtown Buffalo. On our final day in Cincinnati, we had originally planned to stop at Taste of Belgium but the hour and a half wait deterred us. We instead grabbed a bite at the Coffee Emporium which was like SPoT Coffee but with worse food and drink. What did impress us that day was the Cincinnati Art Museum located in Eden Park. The exhibits tied together classical and modern works in a cohesive way and left a lasting impression on all of us. 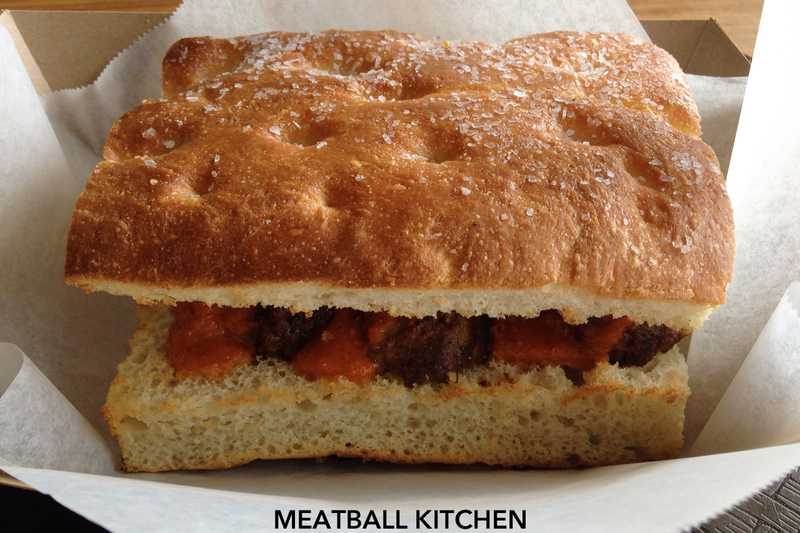 We ate our last meal at Meatball Kitchen in Corryville before heading back to the highway. For $7-10, you get to choose a type of meatball, carb, sauce, and condiment. We ordered a pork meatball with diavolo sauce on foccacia, a veggie meatball with diavolo sauce on foccacia, and the veggie burrito special. Each were near-perfect, from the expertly spiced and textured meat (or faux-meat) to the perfectly salty and greasy bread. We’d love to have a shop like this––a Chipotle for meatballs, right down to the ordering process and cocktails––in Buffalo. Even though we tried to do and eat as much as possible in the three days we were there, we barely scratched the surface of what Cincinnati offers. There is so much potential in just the few neighborhoods we were able to visit that it was staggering. What stood out to me the most was the cohesiveness of the design and offerings by many of the shops and restaurants or cafes we saw. Almost unanimously, the branding and design we encountered was on a level far beyond what many places in Buffalo have achieved (although that has been changing a bit lately). The interior design, website design, marketing materials, and overall process––not to mention the quality of the product itself––of each establishment was exemplary. It’s rare to find such a combination of “genuine” Midwestern feel and tier one city-level presentation. We already can’t wait to go back. And one final note… We have to give a shout out to our Airbnb hosts Jonathan and Amy. We knew from the second we walked in and found complementary local craft beer in the mini-fridge (after such a long drive!) that our weekend with them would be great. While the ‘apartment’ was clean and convenient, being able to chat with our two hosts (including a tour of their mid-century retro house) and get a sense of what Cincinnati life is like for young adults was invaluable. Cincinnati would have been great on its own, but having such a secure and friendly “home” to spend the weekend in made all the difference. Im glad you liked Cincinnati. It really is coming into its own and becoming a truly great city. Hope you come back again!